This Sunday was HubPages’ sixth birthday. You might think that six years is not a very long time, but HubPages has made immense leaps and bounds over that short period. Don’t believe me? 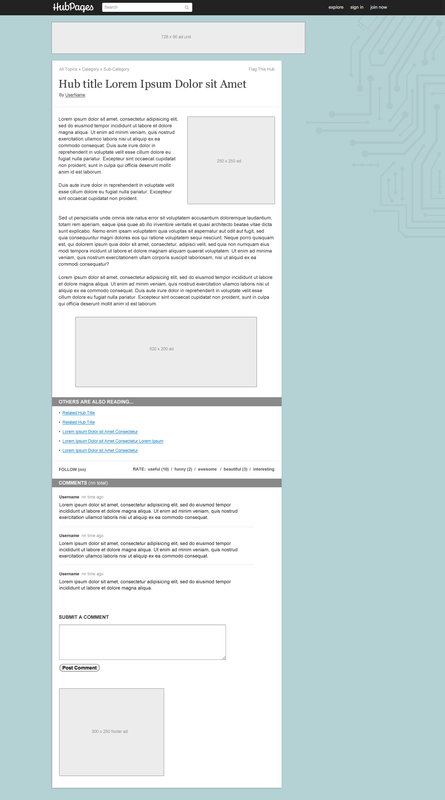 Why not take a look at HubPages’ web design over the years, courtesy of the Wayback Machine? And here we are in 2006, during our beta phase. Notice some familiar names? In 2007, we got a new logo and a slightly more streamlined look. Better, but…. not great. In 2009, we upped the gray portion… a lot! Things got MUCH better in 2010. But you’ve got to admit, our site looks even better now! It is impressive how far we have come- and we’re only just getting warmed up! With our new Hub and Profile designs, HubPages is looking better and better, and the site will look even spiffier after we re-design our Topic Pages. Though a great marker of progress on HubPages, appearance is but a peripheral element of our site- the key to HubPages is and always has been the fantastic Hubs you publish- and your work has been vastly improving as well! The mind-blowing evolution of Hubs, of course, is a different and much bigger story- one that we shall share another time. Let us simply say this: Happy birthday to HubPages, and here’s to many more years of continued positive progress. As you can see, there are some new additions to the new profile design we originally displayed. Along with some slightly different styles and colors, you’ll notice that the profile has a cool background. Indeed, you will be able to choose one of several fun backgrounds for your HubPages profile- or upload an image to create a nifty background of your own. You will also notice that a collection of Featured Hubs lies at the center of the profile. These are Hubs that you can hand-select and switch out at will. This section of the new profile design is a great place for you to showcase your best work, especially if you use your profile as a portfolio to present to friends, family, and potential clients. You will soon be given the option to transition your existing profile to the new design. As with questions on subdomain, the transition will be opt-in only for several weeks, after which the change will be rolled out site wide. In preparation for access to this nifty new profile, be sure to queue up links to your social media profiles, update your bio, select some Hubs you might like to feature, and consider which sort of background you might like to use or upload! We can’t wait to see what you do with the new format! A couple weeks back, we rolled out a new Hub design on Fashion and Beauty Hubs and have been monitoring its performance while making small tweaks. Before we settle on a new site-wide Hub design, we have decided to test out another new Hub design that adopts a radically different approach. The new Hub design that we are rolling out as a test on Hubs within the Technology Topic is a clear departure from the Fashion and Beauty design. In this case, we have stripped away all but the most essential features on the page, leaving the look as streamlined as possible. This is done in an effort to reduce the time it takes for the page to load, eliminate distractions, and allow the content of the Hub itself to truly shine. While we have removed all unnecessary components from this experimental design, we have also made some attempts to make the page more attractive. Notice the new background, which has been given a tech-related treatment. Should this new look be adopted site-wide, each Topic on HubPages would have its own distinctive but subtle background image. As we experiment with this new design, we will slowly add back elements to the page to see what mixture of features leads to optimal performance. Because there are fewer ads in this initial test, you may see a slight drop in the ad revenue you earn from your Technology Hubs. Then again, you may see an increase in earnings as fewer distractions may lead to higher clickthrough rates. Keep in mind that this is a test, and that in the end, we will settle on whatever design leads to the best user experience- both for readers and Hubbers. Big thanks to MickiS for championing this test, props to Fawntia for quickly executing the change, and a hearty hat tip to Amy Liu, who created the new Hub’s design! We decided to make this change in an effort streamline our header’s design and leave more room on reader’s screens for your fabulous Hubs. Our update makes the HubPages header more similar to those on sites like Facebook and Twitter. To navigate to Topics, Hubs, Answers, and Forums, just mouse over the “explore” section. 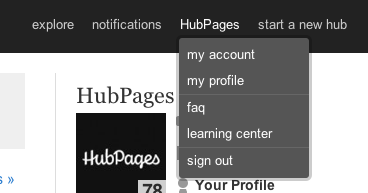 Quick links to sign out or access My Account, My Profile, the HubPages FAQ, and our Learning Center, can be found by mousing over your username. This new header will appear on the site later today, and is part of a series of design updates we’ll be rolling out in the coming months. 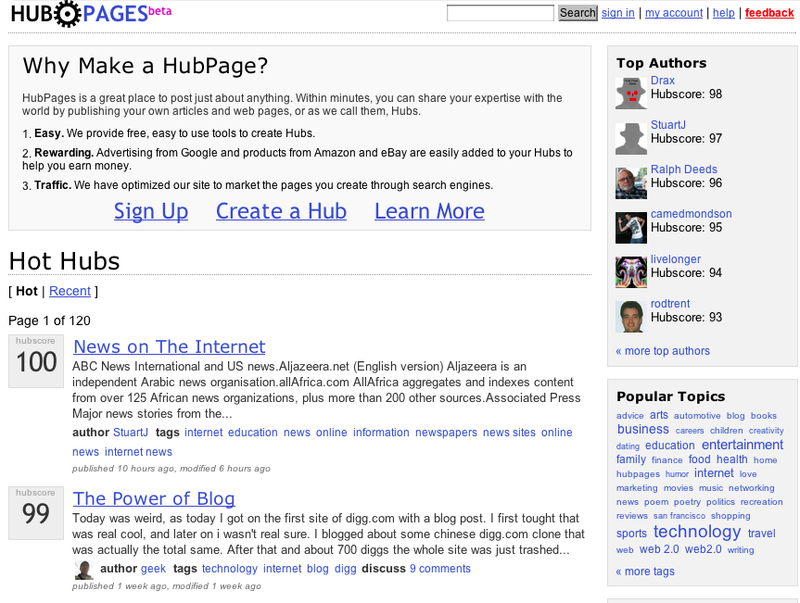 New HubPages Site Design – Give Us Your Feedback! As we mentioned in a previous post, the site widening that is about to take place is the first step in a more involved redesign of HubPages.com. James Edmondson has been working on this redesign for some time now, and we’d love to give you a sneak peek at the new look. Have a look at the work-in-progress designs for Hubs and profile pages below- and let us know what you think! We’d love to hear what you have to say – and we hope to roll out some of these new designs soon! As you may have noticed, there is a small box to the left side of the Hub that contains quick links to share the Hub on Facebook, Twitter, and Google+. This box will move along with you as you scroll. You may also notice that the sidebar has been simplified, and that there are five related Hubs shared at the bottom of the page. And of course, there’s also the new top and bottom navigation bars- the top navigation bar has been significantly streamlined, and the bottom navigation bar has been organized slightly differently. One of the more exciting elements of this updated take on the profile page is that it contains a carousel that does a much better showcasing your favorite Hubs than the current listings do. 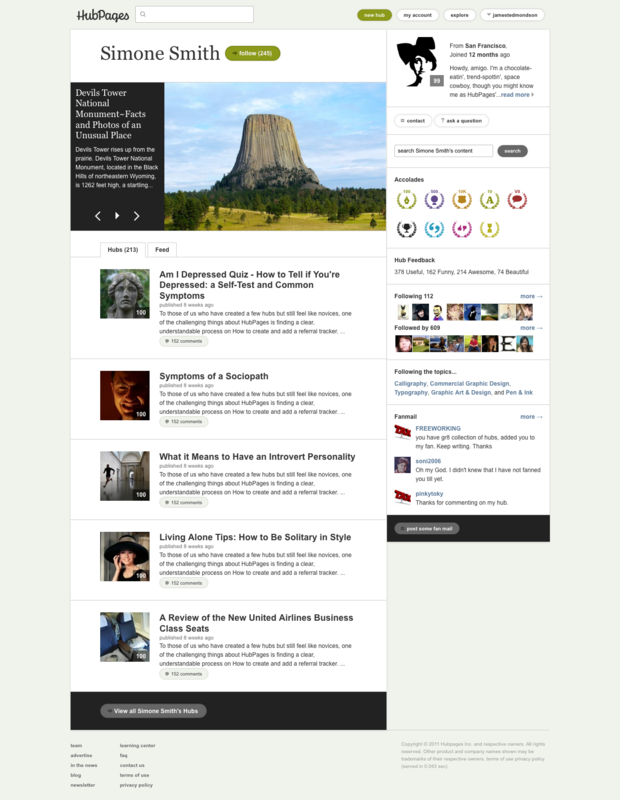 Much of the page has been simplified and Hubs and your feed have been separated by a tab. James sought to give your profile page a more editorial feel with this design update, which offers more previews of the Hubs listed in the center of the page, which makes them more alluring then they appear with the current, more listing-centric design. You may also notice that the bio has moved from the center of the page to the top right corner, and only a short snippet appears. When you click the “read more” link on someone’s bio, the full text will appear in a lightbox, complete with social media (e.g. Twitter, LinkedIn, Facebook, etc.) links so that your followers may know where to find you elsewhere online. You can see the full-sized images by clicking on them. We look forward to reading your feedback! Heads Up! We’re Going Wide! In a couple of days, we’ll be rolling out the first in a series of design updates on HubPages by widening the site. The width of all our pages will increase by 120 pixels- from 850 to 970 pixels. We're getting a teensy bit wider! One of the reasons we’re making this change is to accomodate premium, high-impact ads that typically have high CPMs (which means more income for you as a writer). You will first be able to see an example of these ads in the plumbing category when the Clogs to Coins contest starts. Another reason why we’re implementing this change is we’re going to be giving Hubs, profile pages, and some other aesthetic aspects of the site some design updates. We’ll be sharing some of the preliminary designs for these updates to get your feedback next week, so keep an eye out for them! I’m really excited about the changes we’re making. I hope you enjoy them as much as I do. We are in the process of implementing an update that will remove the questions and forums boxes from Hubs to give them a cleaner, less cluttered interface. 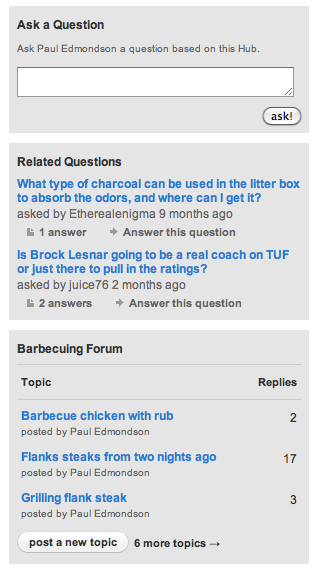 The Q&A and Forums sections of the site will, of course, remain unchanged. One of the most interesting things about design is that the elements that are left out are just as important as the elements left in. A great example of this concept is demonstrated through the ma seen in traditional Japanese aesthetics- which is very present in some of the best design around- Apple products, for example. For this reason, the HubPages team has been very careful to keep the site as streamlined as possible- removing any elements that are more distracting than functional. After analyzing some of the features that show up on the right-side of Hubs, we found that several of them were not being used by a vast majority of visitors. So we are removing the questions and forum boxes from Hubs to provide a more engaging and enjoyable experience for visitors to your Hubs. If the Hub is an Answer to a Question, then other Hubs answering the Question will still be listed. The updated Hub layout rolls out today. We hope you like it!